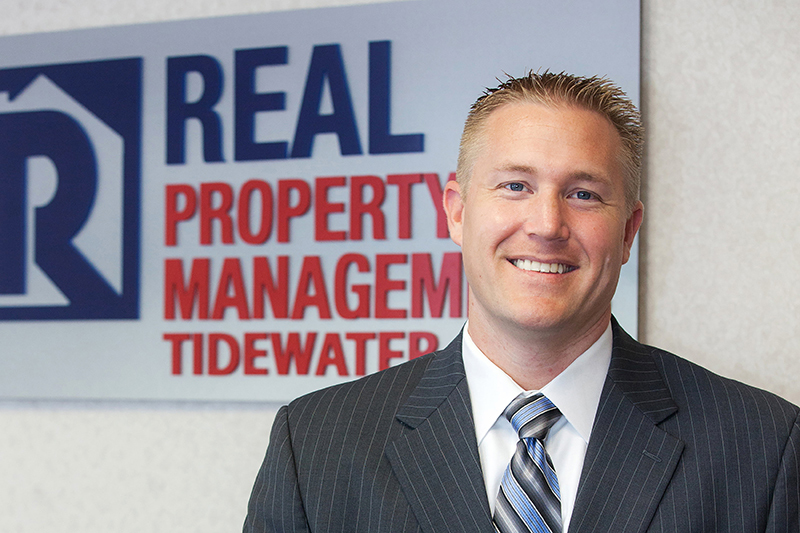 Brandon Reed, Real Property Management Tidewater’s CEO, is one of the three owners driving the success of the company. As CEO, Brandon is responsible for the vision and growth of the company. Having grown up in a family that was actively involved in the real estate business, Brandon was naturally drawn to the industry. With almost ten years in financial/estate planning, he helped his family transition its business from an individual base to a structured team. During this process he looked at the rental side of the real estate business, and saw it had an area with real need and potential growth in Hampton Roads. As a result, the family purchased an independent franchise of Real Property and formed Real Property Management Tidewater (RPMT) in 2010. Brandon takes pride in providing the best possible property management services. “For leasing problems we solve them faster than anyone else, we make sure properties are properly maintained and rents are accounted for,” says Brandon. As a result, the company frequently has owners come to RPMT who have either managed their own properties or had another management company. Just as important is the tenant side. The number one reason tenants leave is that the property is not maintained. RPMT responds quickly to tenant needs. “We have tenants who have been in a property managed by our family business for as long as ten years,” says Brandon. Brandon sees a big part of the company’s success is due to its employees. His team is both passionate and driven to exceed expectations. “It’s a fun environment and we work well with each other,” says Brandon. “We’re always meeting people, having conversations, bake-offs and events.” The team and the office environment allows Real Property Management to excel and to be the best property management company out there.